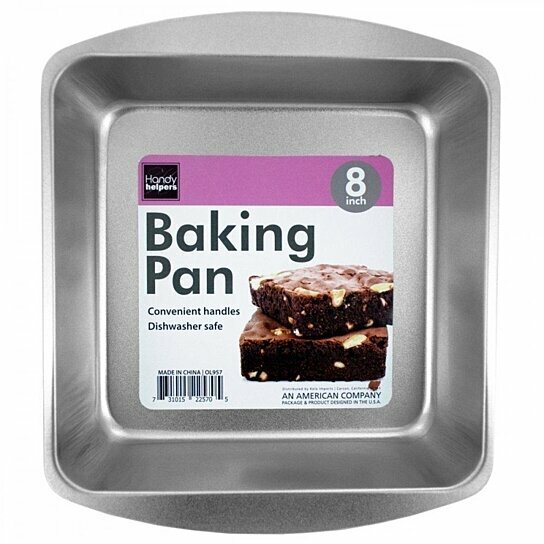 Easily bake brownies, biscuits and more with this Square Baking Pan featuring a durable metal pan with convenient handles. Interior measures approximately 7.75" x 7.75". Whole pan measures approximately 9.5" x 8.25" x 2" (including handles). Dishwasher safe. Comes loose.